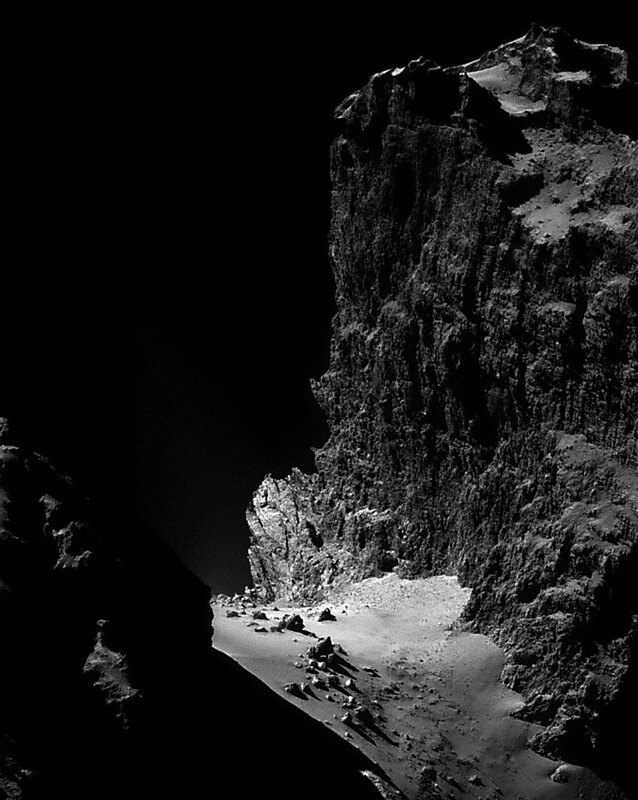 Explanation: These high cliffs occur on the surface of a comet. They were discovered to be part of the dark nucleus of Comet Churyumov–Gerasimenko (CG) by Rosetta, a robotic spacecraft launched by ESA which began orbiting the comet in early August. The ragged cliffs, as featured here, were imaged by Rosetta about two weeks ago. 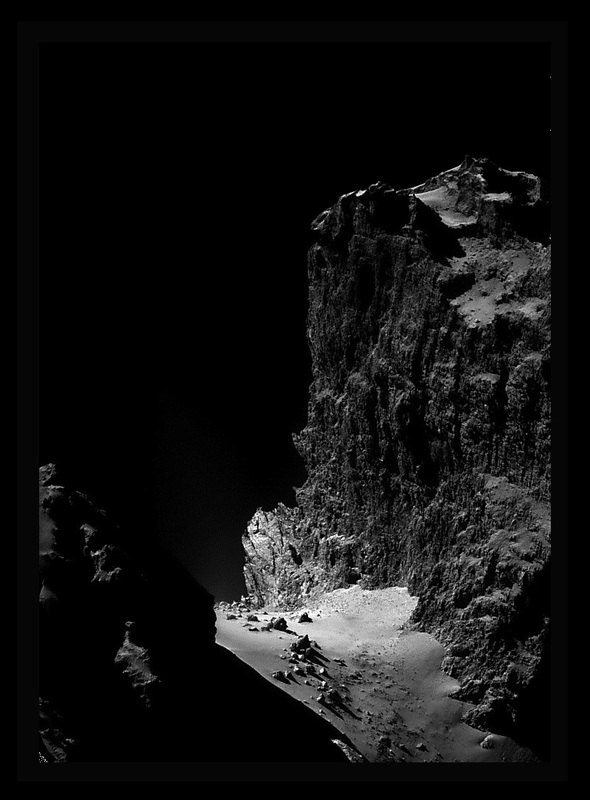 Although towering about one kilometre high, the low surface gravity of Comet CG would likely make a jump from the cliffs, by a human, survivable. At the foot of the cliffs is relatively smooth terrain dotted with boulders as large as 20 metres across. Data from Rosetta indicates that the ice in Comet CG has a significantly different deuterium fraction -- and hence likely a different origin -- than the water in Earth's oceans. The Rosetta spacecraft is scheduled to continue to accompany the comet as it makes its closest approach to the Sun in 2015 August.